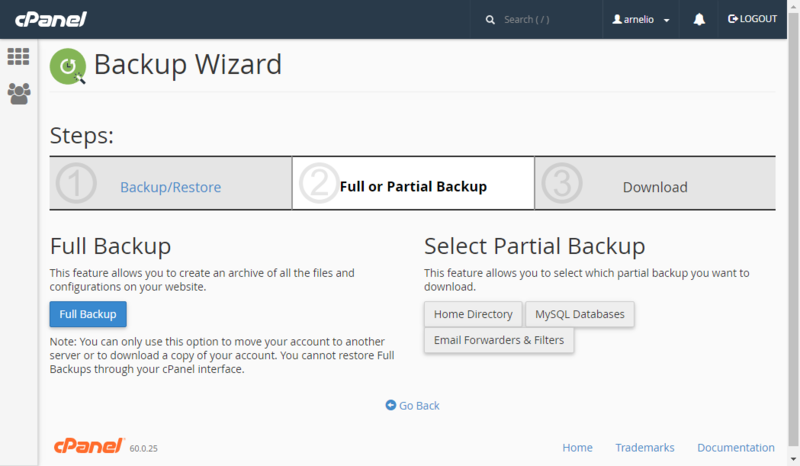 When you're creating backups in cPanel, you have two options to help you complete the task: Backup or Backup Wizard. 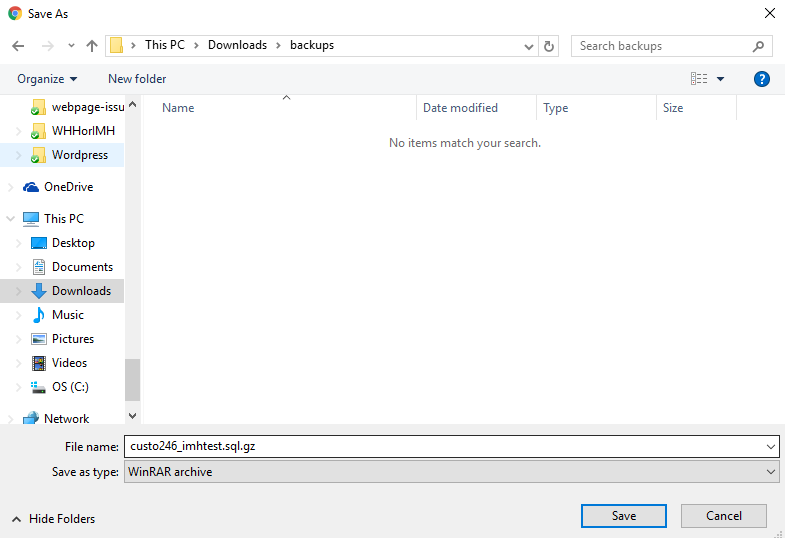 This tutorial walks you through how to do it with the Backup Wizard which provides the same functionality as the Backup method, except that the options are separated out by section. The full backup option allows you to backup all of your website files associated with the account. 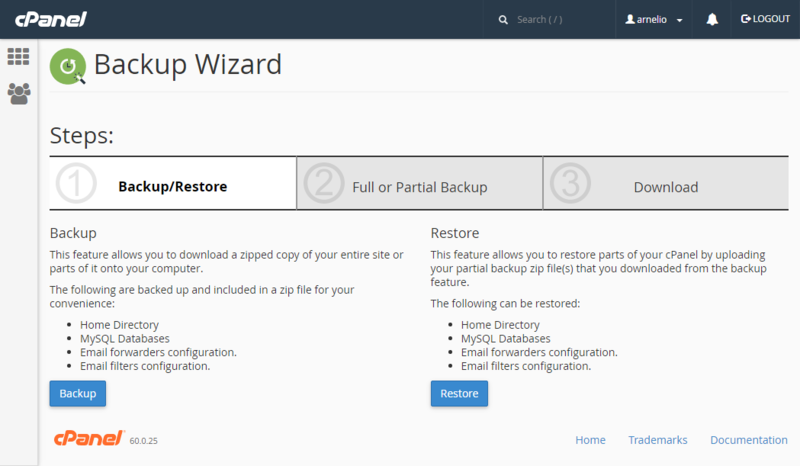 You can also use this backup to move your account to another cPanel server. Click on the blue button labeled Backup. Determine the destination of the backup. Click the drop-down arrow and select either Home Directory, Remote FTP server, Remote FTP server (passive mode transfer), or Secure Copy (SCP). Enter the email address to receive notification of the backup completion. If no notification is required, click that radial button. 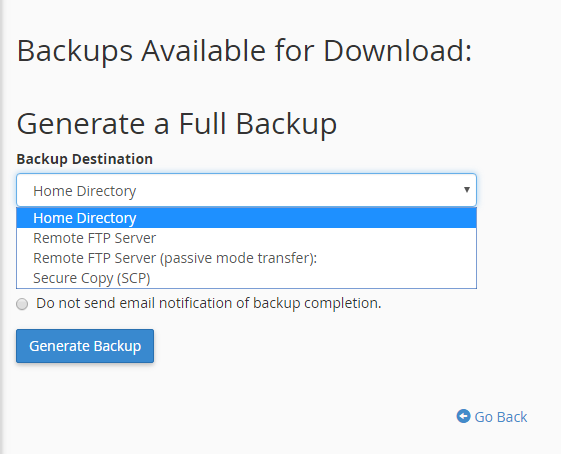 When the backup completes you will see a link that says Backups Available for Download. Clink the link to download the backup file. Note: Ensure you download the backup file to a secure location not located on the server. That way, you'll have a backup available that won't be affected should anything happen to files on the server. 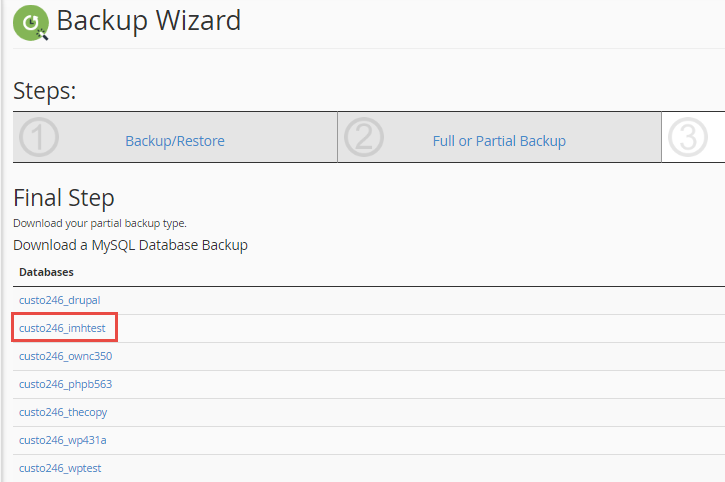 The Full or Partial Backup option in the Backup Wizard lets you select the individual backup options available. These options are the same as in the Backup version discussed above, except that here you can click on each option and it will be the only one shown on the page. 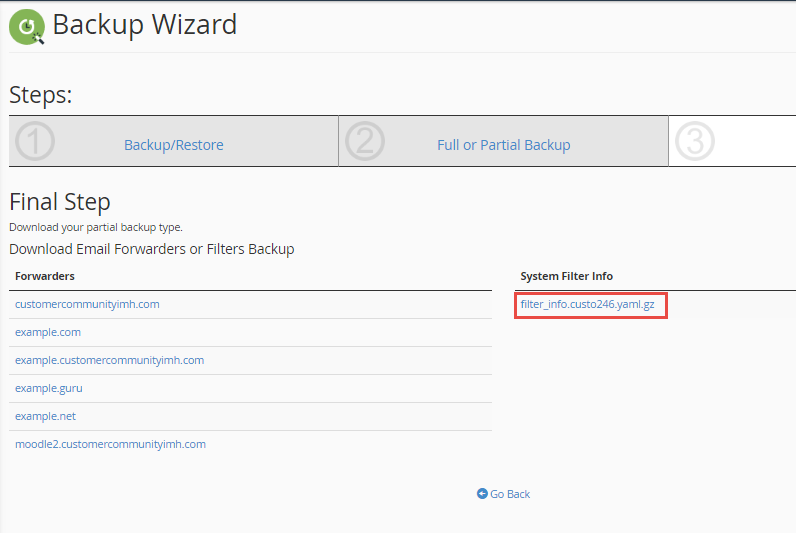 Under Select Partial Backup, click on Home Directory. You will then see the section labeled Final Step. Click on the blue Home Directory Button. Determine where you will save the file on your computer. Under Select Partial Backup, click on the button labeled MySQL Databases. You will then see the section labeled Final Step. Select the database that you wish to backup from the list that appears. You will then see the section labeled Final Step. Select a domain name under forwarders, or select the System Filter that you wish to backup from the list that appears. 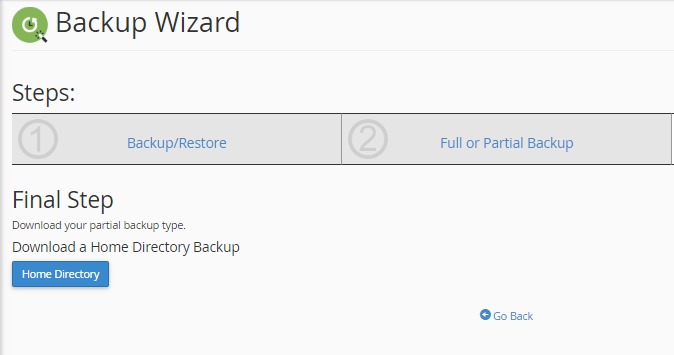 Congratulations on completing the Backup Wizard tutorial. As you can see, creating backups a fairly quick and easy process. 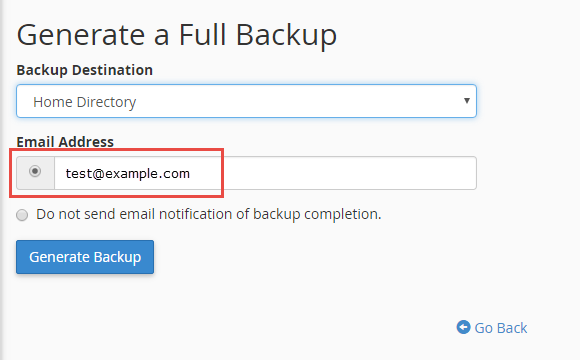 Make sure use this feature to make timely and critical backups of your website! 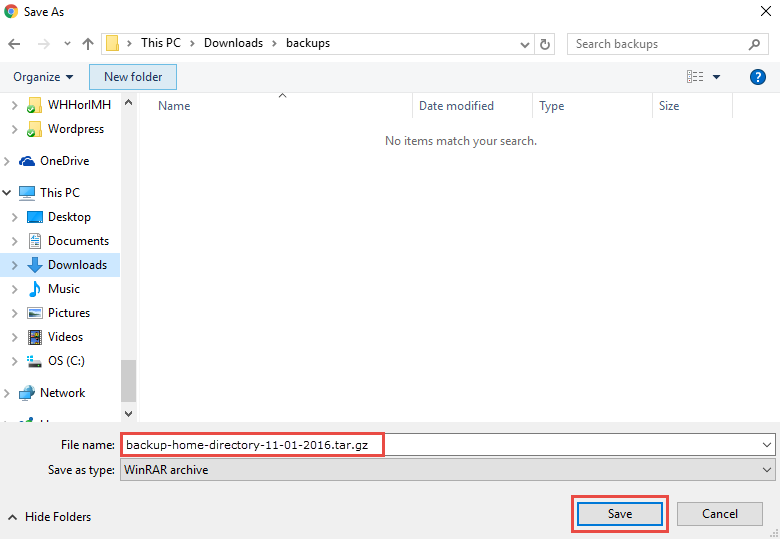 What are the differences between the backup destinations on Full Backups (i.e. home directory, remote FTP server, remote FTP server (passive mode transfer), secure copy (SCP))? Home Directory — Saves the backup file on the local server. Remote FTP Server — Uses FTP to store the backup file on a remote server. Remote FTP Server (passive mode transfer) — Uses passive FTP to store the backup file on a remote server. Secure Copy (SCP) — Uses SCP to store the backup file on a remote server. Aside from the differences in the protocol used to actually transfer data, those are the differences in the options available for backup destinations. I hope this helps! If you are having issues downloading it from your cPanel you may want to try using FTP or Rsync instead.